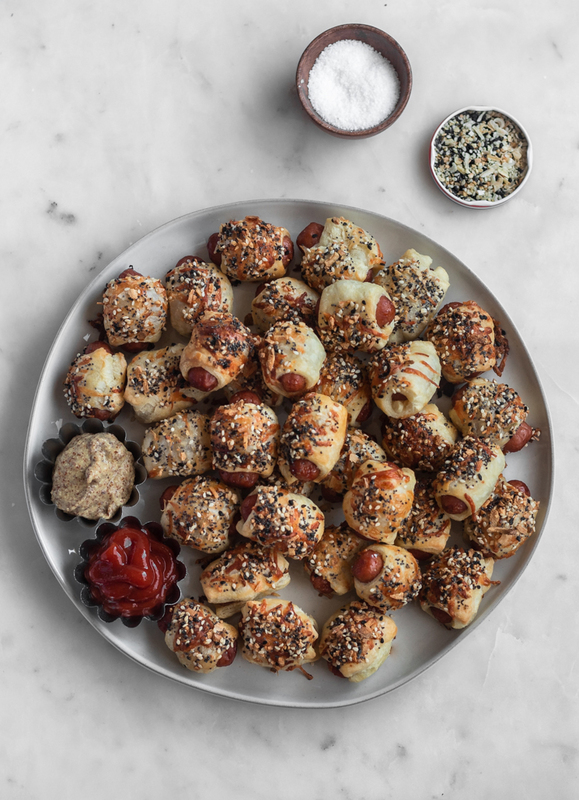 Pigs in a Blanket with Everything Seasoning & Parmesan are served with harissa ketchup and bourbon mustard for an elevated Superbowl favorite. These are honestly the best pigs in a blanket I’ve ever tasted! 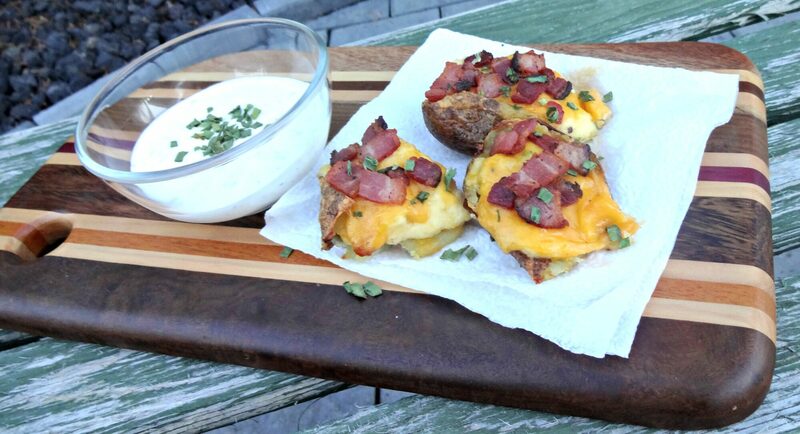 Potato skins are perhaps one of the most delicious things known to man, if I do say so myself. 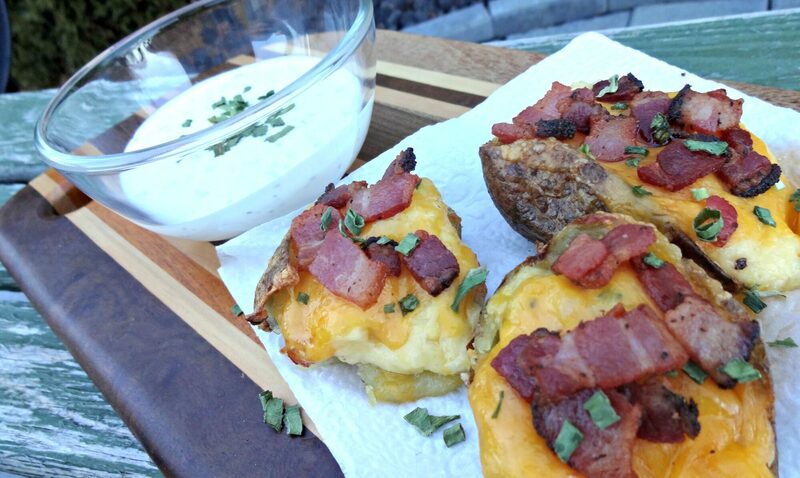 How could you not love a potato stuffed with bacon and cheese and sour cream? Excuse me, but I don’t hear anyone complaining. With Superbowl right around the corner, I knew I had to make something that would stand out but was still greasy enough to make it to the game. And by greasy, I mean delicious. Greasy does not always equal bad. Unless you’re on a diet. In which case, it’s time to splurge a little, okay? Potato skins actually proved to be a bit of a struggle for me as I was pressed for time in order to also watch a movie in between writing this post and going to bed. Yeah, I know, my priorities are really straightened out here, but Sunday movie night is important okay? (Tonight, my bedroom is featuring Peter Pan). This whole being “pressed for time” thing ended up with me having slightly demolished potato skins because the potatoes did not get cooked quite as long as they needed to be (thanks to my microwave for saving the day). 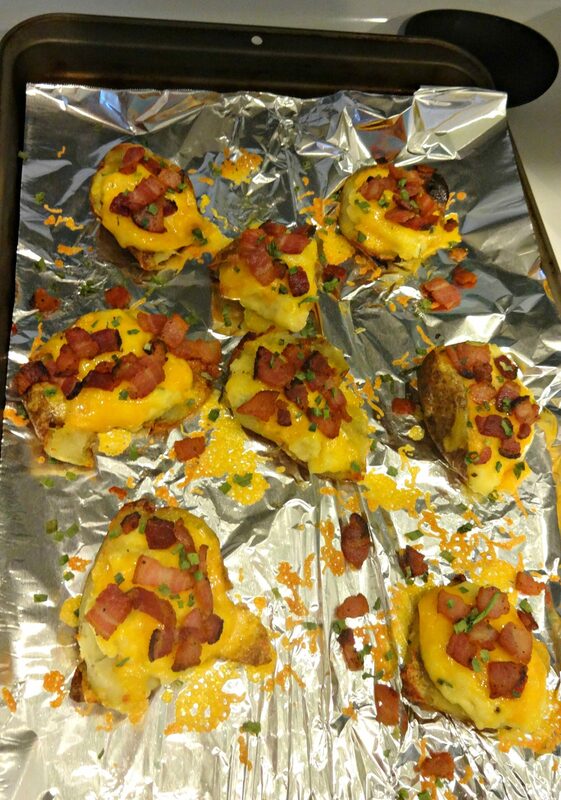 So they became twice baked potato skins. You know when bad situations turn into really, really great ones? 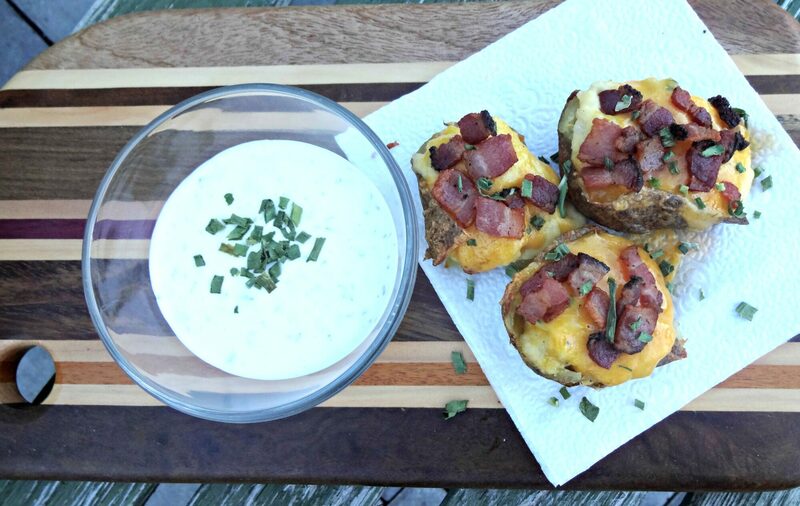 Yeah, that’s how twice baked potato skins came to be. Things happen for a reason, friends. See? Doesn’t look very appetizing. But taste wise? Oh hell yeah. These things take the cake. Or the potato. Whatever floats your boat. Enough with the cheesy sayings already, Sara. Show these people how to make these delicious suckers. (By the way, CHEESY?! Did you see that? I’m full of them today). 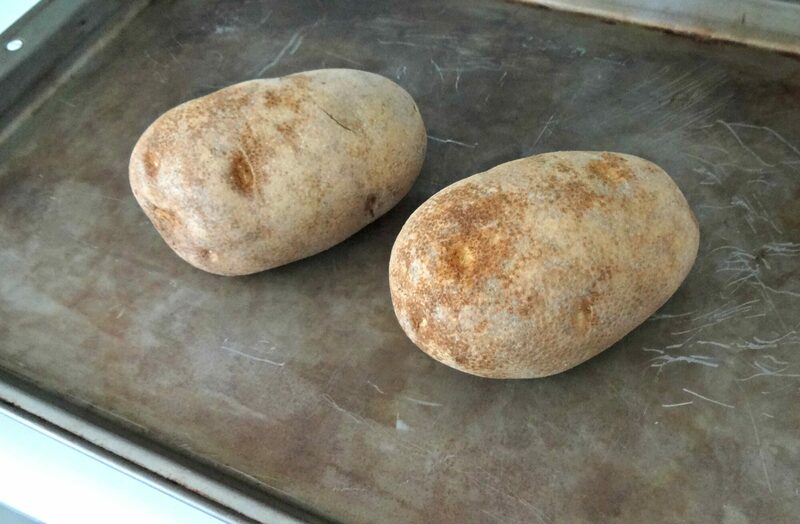 Preheat oven to 400* F. Scrub potatoes thoroughly and dry. 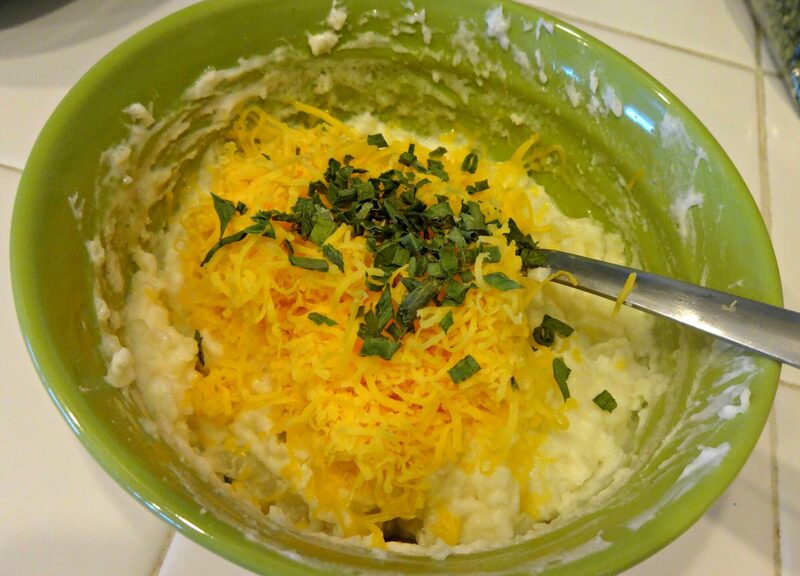 I recommend using 1/2 a potato per person if it’s for appetizers, and 1 potato per person you’re serving this as a meal. They’re very filling! 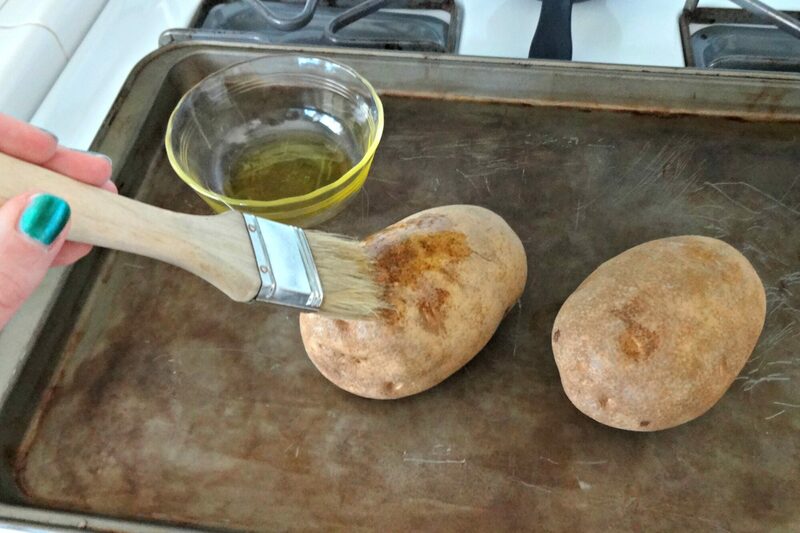 Brush the potatoes with some oil. Olive oil will be oh-so-fine. Place them in the oven for about 40 minutes, or until fork tender. Meanwhile, chop up some bacon. I apologize from here on out about the picture situation. 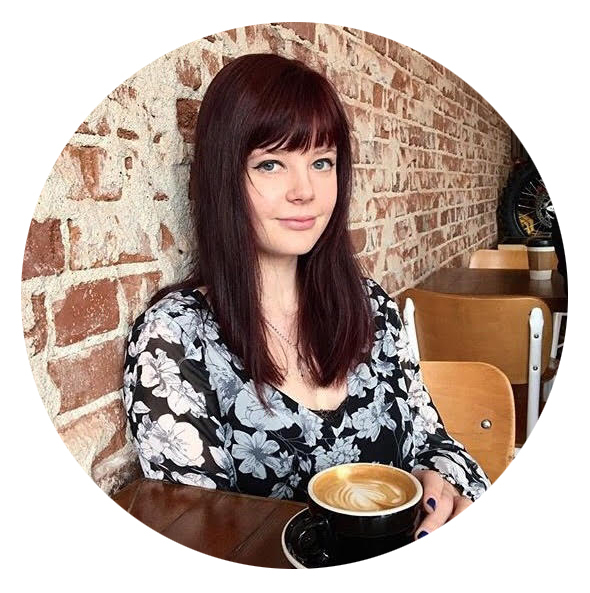 The lighting in my kitchen goes away at about 3-3:30 in the winter, which as many food bloggers know, is a curse. 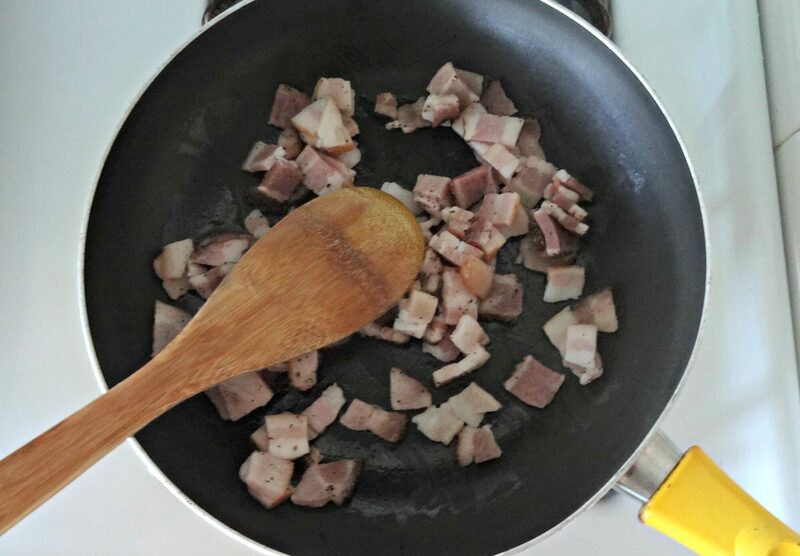 Then crisp up that bacon in a frying pan. Drain on some paper towels when it’s nice and browned. 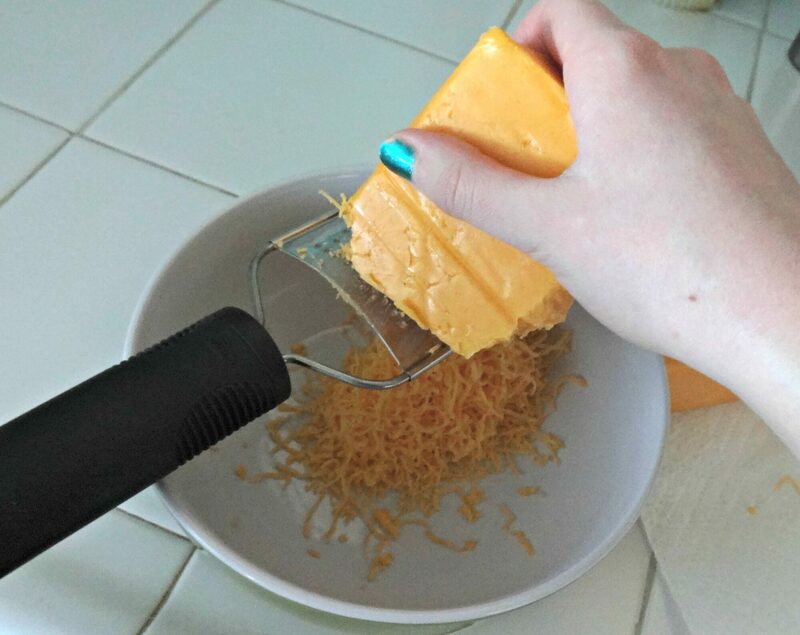 Also, grate up your cheese for fun. (As we all know, grating cheese is not fun so just smile while you work and listen to Tom Petty and it will seem better, I promise). When the potatoes are good and ready, cut them into quarters. Scoop out the insides but make sure to leave enough to make a shell to hold everything together, or you will end up with lots of mashed potatoes and no twice baked potato skins. 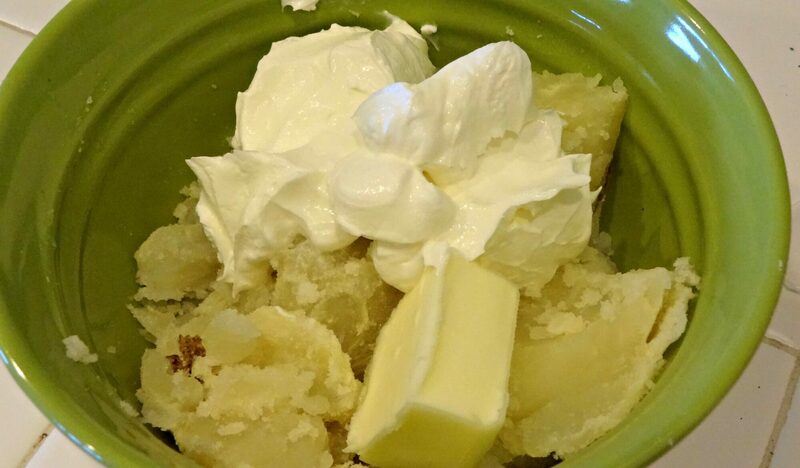 Mix about half of the insides with the butter and sour cream. Mash it all together. Then add about 1/2 c. of cheese, about 1 Tbs. chives, and some salt and pepper. This is when my natural light completely left and I forgot to keep taking pictures. Sorry for any inconveniences. Luckily, this recipe is not too complicated! 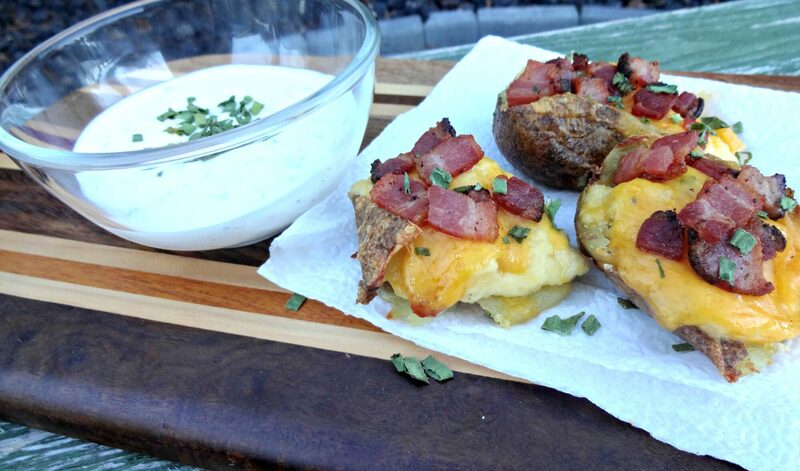 Brush your potato skins with olive oil or butter and bake in the oven for 5 minutes on each side. Set your oven to broil. Fill the skins with about 1-2 Tbs. of the filling and top with some cheese. Broil for about 2 minutes, or until the cheese is melted and bubbly. 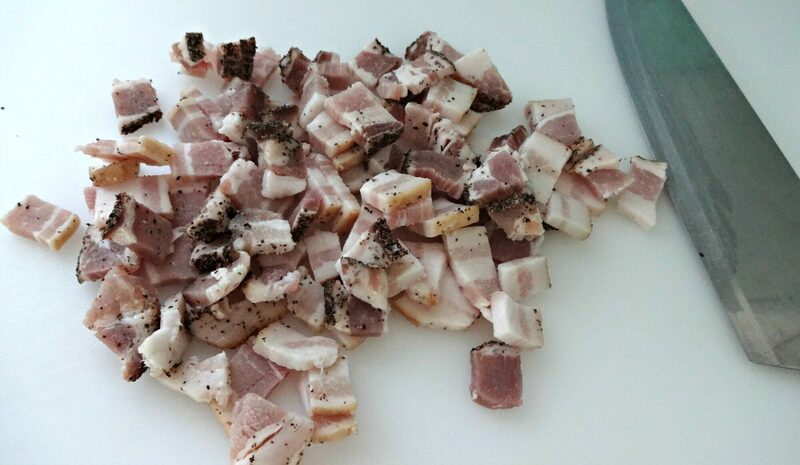 Finish them off with some bacon and chopped chives. Might I recommend serving them with ranch? (I would). Why don’t you check out my recipe for The Best Ranch Ever? I made it specifically for these little guys, and oh my lanta was is so worth it. I might go eat some leftovers right now, actually.